Fun Holiday Treat with New Peppermint Patty Package. Here we go-another Quick and Easy treat to make using our Sizzix Big Shot and Petal Card Holder. I am using the New Peppermint Patty package-still deciding if I like it! They never asked the S.U. Demonstrators what we thought of an upgrade in design!! Just Kidding!! Here is the finished item but follow along for more details on how to make it. 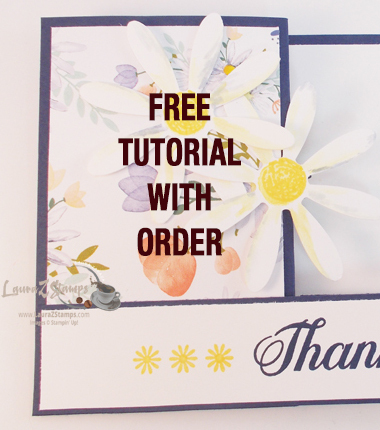 Use the Petal Card Bigz Die-#113467. I used Taken with Teal C.S. (#101584 $5.50), and Holiday Lounge (#115676 $9.95). Don't forget to use a shim ( I used an extra sheet of Taken with Teal) and the Standard Premium Crease Pad (#113476 $8.95). If you use "both" of the Cutting pads-the crease can be sliced all the way through. You want a Subtle and still "intact" crease. So use a cutting pad, shim, die, C.S., then a Premium Crease Pad. Run that Baby through the Big Shot! Results are Perfect! Now fold in three sides and tape bottom with Red Sticky Strip (#104294 $6.95). You want it to stay shut! Now put in candy. I cut out a 1" X 6 1/4" strip of the DSP-Holiday Lounge. Just place in middle-have some Snail (AKA Booger Maker Tape :0) (#104332 $6.95/refill #104331 $4.50) and add tape on middle and on the right side. Place in middle, then wrap around treat and tape in back. Next, I stamped Merry Christmas from the Cute and Curly Label Stamps-it's looking like this one is retired. Ugh!! Just when I realized this set was Fun. Oh well-I never said that I would Always demo Current sets-But I do try my best. Still-any set would do. I punched out with the Curly Label Punch (#112208 $15.95). Next, I used the Magnetic Movers and Shapers set (#114506 $42.95). The shape punched out from this Sizzix die is slightly larger then the punch. It frames the greeting perfectly. 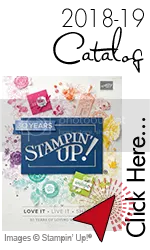 Just add that, always available, always 3-D accessory-Stampin' Dimensionals (#104430 $3.95).